A look back at Elmore Leonard, America’s best crime writer? Elmore Leonard’s death last year sparked a wave of, not only glowing obituaries, but retrospective articles on his large body of work. When he died in August, he was working on his 46th novel. If you’re not familiar with him, several recent articles in print and online provide a good introduction and suggestions for reading (and viewing) Leonard’s work. Identified as a crime writer–and before that a writer of westerns–Leonard transcended genres, some reviewers say, raising his literary esteem several notches. “Many critics argued that, if anything, the reference to the genre slighted his contributions,” says Christopher Orr in the current issue of The Atlantic. “Martin Amis described him as ‘a literary genius’ and ‘the nearest America has to a national writer,’” says Orr. Born in New Orleans, Leonard and his family moved to Detroit where he went to school and graduated from the University of Detroit with a degree in English and philosophy. From there he became an advertising copywriter until his novels started to pay off. He began writing westerns, but as the popularity of that genre faded in the late 1960s, he switched to crime, the territory for which he’s best known. Sidestepping the crime novels, a New York Times Magazine article at the end 2013 focused on the westerns. Had the market for westerns not dried up, writes Charles McGrath, Leonard might have continued with them for the rest of his career. “Leonard’s westerns are not just good for their kind. They’re good, period: spare, taut, soundly constructed,” says McGrath. Many of Leonard’s stories and novels, including the westerns, became motion pictures, but, says Orr in The Atlantic, many of the movies were bad. “If the sheer number of Leonard adaptations is remarkable, what is more remarkable still is how few of them are any good,” he says. 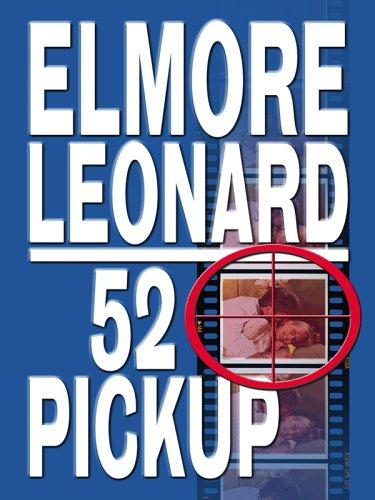 More than two dozen movies were based on Leonard’s books. They provide plenty of raw material for criticism. Orr praises the successful “Get Shorty” as one of the best and its sequel, “Be Cool,” as one of the failures. “Get Shorty” is surely one of his most popular and critically acclaimed novels, not a bad place to start reading. For other suggestions, two recent online articles, one in the Huffington Post and another on Litreactor.com, list Leonard’s “ten best.” Eight of his books, including “Get Shorty,” “52 Pickup” and “Killshot” appear on both lists.